Soft, buttery goodness. Bibb-like heads enclose loose, sweet, crisp-tender leaves. Outer leaves are an attractive deep spring green; inner leaves are nearly white. Plant in humus-y soil, and do not to let the plants dry out. 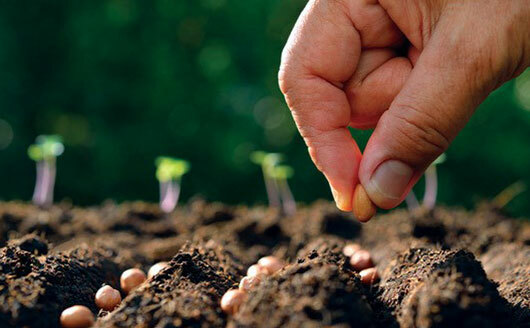 Sow heavily seeded rows every 10-14 days for a constant supply of baby greens. To harvest, cut the head near the plant base or just pick individual leaves as you need them. Very heat-tolerant and slow to bolt. Stays mild after others get bitter. Photo courtesy of Baker Creek Heirloom Seed. Start indoors 3-4 weeks before last frost. Sow ¼” deep in sterile planting medium. Sow outdoors after the last frost. Could you use these seeds for microgreens? BEST ANSWER: Absolutely. Any lettuce seed works as a microgreen. The flavor will be a little less pronounced than if you used arugula or a cress, but the flavor is fresh and delicate nonetheless.